What Is A Screw-On Filter? Most camera lenses have a thread on the front that allows us to add filters to modify the light coming into the lens in some way. Sometimes we use polarizing filters to cut down on reflections in our image, and sometimes we just want to use a neutral density filter that allows less light into the lens and gives us a slower shutter speed for special effects. Screw-on filters can be added to this thread on the front of the lens, and they come in many sizes to fit the varying diameters of lenses. 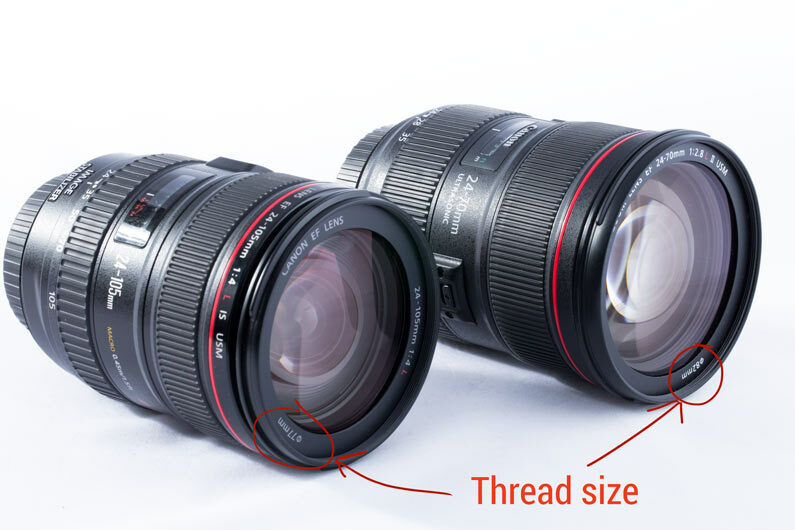 In the photo below, you can see where the lens thread diameter is marked on these two lenses to that you make sure you buy the right size of screw-on filter. The reason that we need a distinct name for this kind of filter is that it’s not the only kind of filter. Some filters are designed to be used in a filter holder that screws to the front of the lens and these filters tend to be referred to by their size. 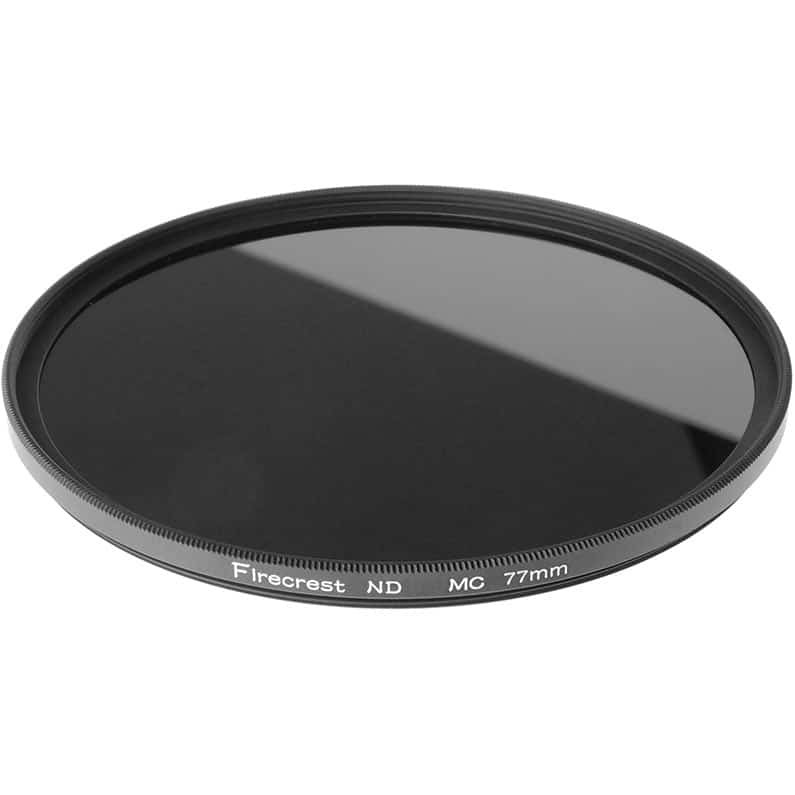 For example, 4×4 filters or 4×6, which is the filter’s physical size in inches. If we say we want to buy a neutral density filer, we need to define whether it is a screw-on filter, or whether it is one of these square or rectangular filters that needs an additional holder to hold them to the lens. Screw-on filters are arguably more convenient, but they tend to introduce more vignetting to your image if you use more than one filter at the same time. Using multiple filters is called ‘stacking’ filters, and one filter can be screwed easily onto the front of a second filter to combine two effects. The most common usage is to screw a polarizing filter onto the front of a neutral density filter for landscape images.